Lark came to Nyetta one night, because no one else would listen, no one else would look. Nyetta doesn't want to look either, even if it will set Lark free. Eve used to be friends with Lark, before things happened, and she can't help but feel like if they were still friends Lark would be alive. Nyetta and Eve are the only ones who can help Lark, the only ones who can set her free after her vicious murder. This was a fast read. A beautifully written story about a girl who was murdered, and needs someone to acknowledge the evil done to her before she may pass on. The book alternates between the three girls. Lark's story starts before she is murdered, Nyetta's tale starts when Lark visits her and Eve's story jumps between memories and the present. Each girl had a haunted presence surrounding their voice. This whole story had a creepy dense air about it, even though the writing itself was free and floating. I appreciated that this tale was about grieving, in different ways, but it wasn't wholly depressing. Each girl reflects on how this could have happened, and why they weren't there for Lark. This was a lyrical and heartbreaking tale, that you would do well do pick up. 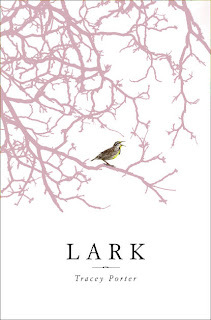 "First he hit her, then he stabbed her with a small knife, but Lark didn't die from this." "heartwood sap beat pulse taproot crown beat pulse leaf bark beat pulse root sapwood beat pulse heartwood sap beat pulse taproot crown beat"
The cover for this one was what initially caught my attention, but the synopsis made me add it to my Goodreads instantly. 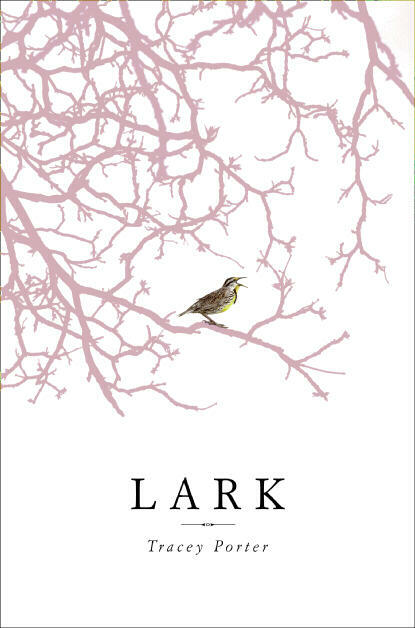 I think this is the first review I've read for Lark, so it's good to hear that you think it is well worth reading. I kind of love small, compact books too, so I'll have to pick this one up.